Buy Venice Italy Tickets and Save money! 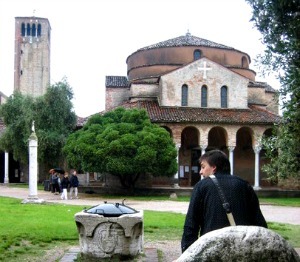 Why to compare sites if I help you to book Venice Italy Tickets right away? Follow my tips. Get the best price for your plane ticket to Venice! Do you have cheap flights to Venice from the UK? Yes, in the UK there are many low budget airlines. 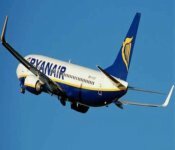 EasyJet competes RyanAir and there a dozen other airlines. Ryanair is using Treviso Airport which is located 25 miles from Venice. Do you have nonstop tickets to Venice from the United States? Yes, only Delta Airlines, United Airline and American Airlines have a nonstop connection. These international flights are using Marco Polo Airport which is just 5 miles from Venice. And transport possibilities are endless. Save on Venice Italy Tickets and explore the city! From New York to Venice Italy the fly duration is about 8h 30m. From Atlanta it is 12h. From London to Venice the flight duration is about 2h 5m. From Manchester it is 2h 30m. Venice is a beautiful city with unique waterways. Regarded by many as one of the most romantic cities in the world. Rich in artistic expressionism. Venice offers a range of attractions that makes a perfect holiday with romance and art. Art lovers, they have Venice on their wish list. Artworks of the Renaissance, Baroque and medieval. For shoppers, there are numerous boutiques and you can buy Italian clothing. Pay attention! It is expensive. Especially when you go to the brand stores such as Gucci and Versace. From the moment you step off the plane you see the uniqueness. For example, with a water taxi to your hotel in Venice... It is glorious! And you will be happy when you see the restaurants. Or how about a delicious cappuccino on a deserted square? Early spring is the best time. And second are the month’s September and October, given the weather conditions and the amount of tourist. High season: Venice has visitors all year round. But, the month’s July and August and in particular holidays with Easter and Venice Carnival are full with day trippers. These are the busiest periods in Venice. During the summer holidays Venice is packed with day-trippers who spend their time from campsites / cruise. Christmas and New Year are also busy. Low Season: The rain in November and December causes flooding. The humidity in the winter is mysterious and sometimes the city is covered with snow. This low season is ideal to find cheap flights to Venice with discounted rates. You've read about Venice Italy Tickets. There is plenty to explore. Read my site and get more information about this beautiful Italian city.